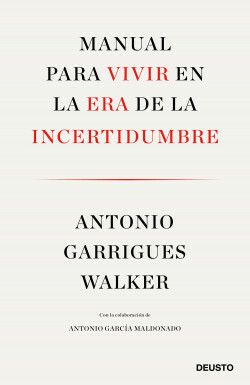 Far from the usual fatalism, Garrigues Walker shares a vision distant from alarmist short-sightedness and provides the reader with a diagnosis of the present and a forecast of a probable future that will remain in our hands. Walker dissects the essential issues that shape the age of uncertainty. Such topics are addressed as inequality, the trivialization of the news, the rise of sovereignty and the new feminism. This essay aims to bring order to the chaos in which we feel we are living and incisively analyzes the whys and wherefores of uncertainty.